Allium siculum - plant, care, and cultivation. 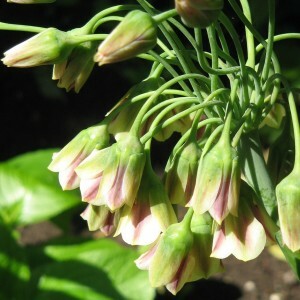 Allium siculum - varieties, species. Nectaroscordum is a sort of perennial grassy bulbous plants, which came from the mountains of Southern Europe (France, Italy, Greece, Bulgaria, the Crimea) and the Western Asia (Turkey, Iraq, Iran). There is a tendency to attribute it in a subfamily of Onions (Alliaceae) family. But now we have the alternative and can put it to the family of the Liliaceae. And there is the third opinion that this is not an independent sort, but the subsort of the family of the Onions. Garden encyclopedia. Allium siculum cultivation.